Come and experience the luxury of your own private paradise along Bowles Reservoir. One of very few lakefront properties located in historic Beers Sisters Farm Dairy. The original farm silo is situated right next to this home which provides a "cape cod" type appeal. 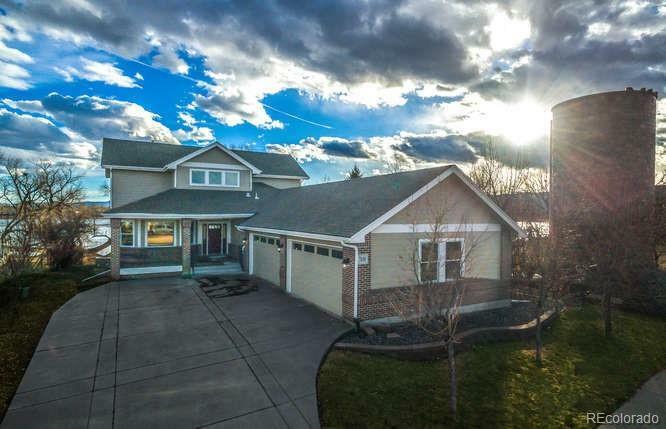 This beauty boasts main floor master suite, plus 3 bedrooms, 5 bathrooms, large updated gourmet kitchen with custom cabinets, granite counters, chef's stove. New Wood/Engineered flooring throughout main floor. New interior and exterior paint; New roof; New carpet; Finished walkout basement complete with family room, bedroom, full bath and separate theater room. Large Deck in back perfect for entertaining or to simply take in the peaceful setting and postcard views while enjoying your morning coffee. Property is close to schools, shopping, and all major highways. This home is a must see. Book your showing today.